You have been VERY productive my friend! I am extremely intrigued by the iron. 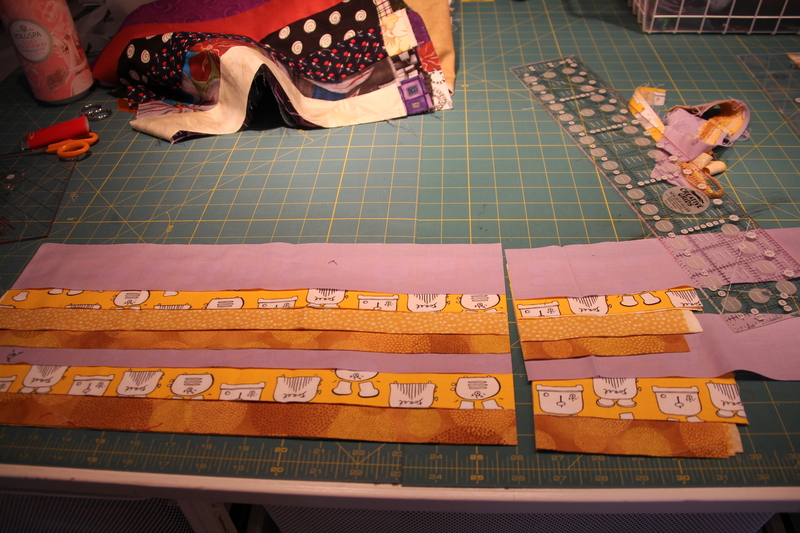 I am working on a baby quilt for Sally (not the name, but we have called her that since we found out she was a “she”). I make a square and press. By the time I need to press, my Rowenta is cold. Frustrating – thus we will need to talk irons Brian. Going to Vegas this next weekend. There is a fabric store there that I understand is pretty fab. If my spousal unit gets involved in a table game, I might take a cab to check it out. Wish me luck and you, soldier on my friend, soldier on. Hey Chris… Thanks for commenting about my progress. I actually woke up early today… i.e. 4:20am, so I went out to watch for meteors, took some photos, and then sewed all morning and afternoon. I got all three rounds of borders on a king size quilt that I’m making for my bed. 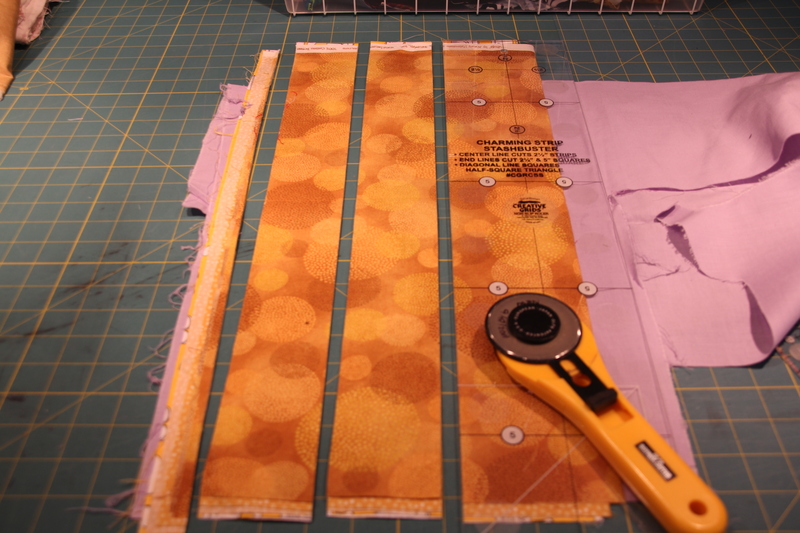 Now, I need to find some backing fabric, and find a spot in my line-up to get it quilted. 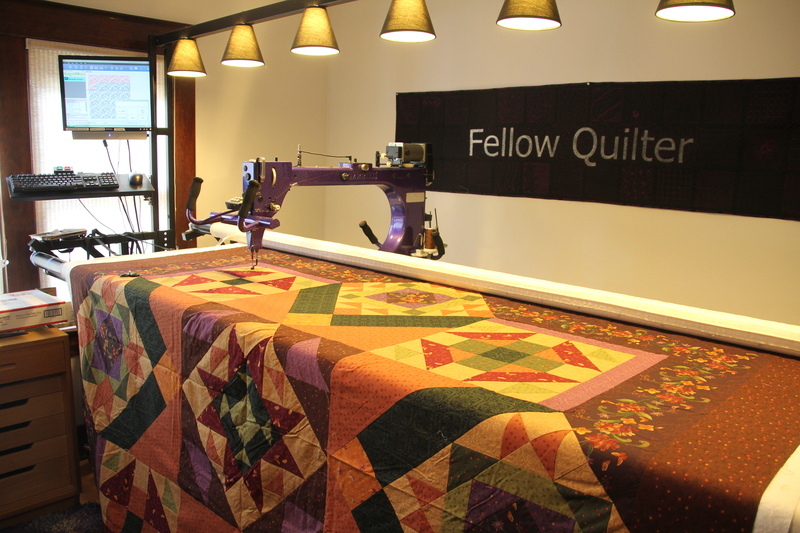 I really meant it, when I offered to mock up your bow-tie quilt on Electric Quilt software. Let me know if you want to do it. 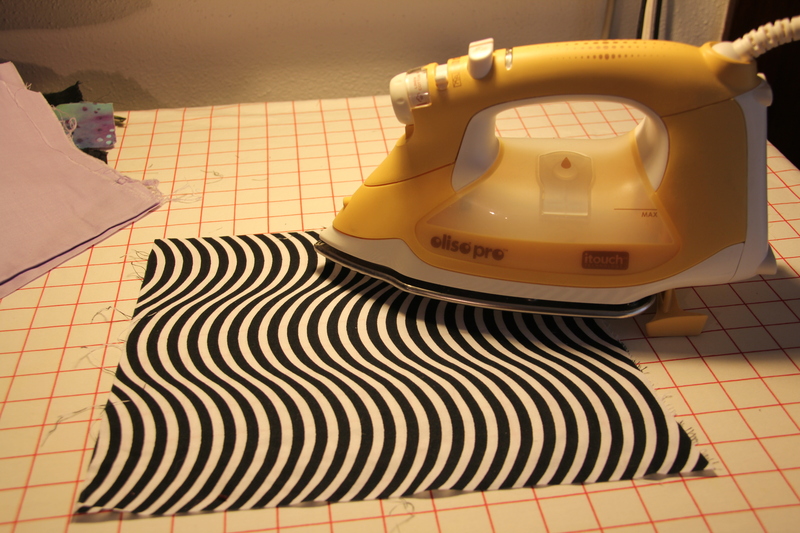 Also, come over and you can try out my iron, too! Have a great trip… See you when you return! So… I went looking online for Nancy’s Quilt Shop. Guess what, it has closed. I only went there once while in Vegas, but I remember it was pretty neat. It had a mix of quilting fabric and yarns. Boy, the quilt shop business is pretty tough, I guess. It made me go take a spin through my local fabric store, to look for some inspiration. 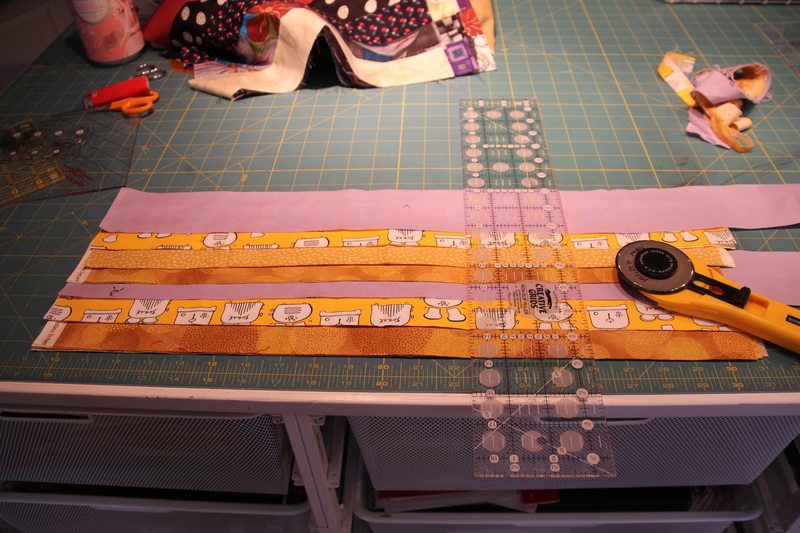 I came away with two ideas for quilt backing… but I guess I had better take my fabric swatches there, before I decide. Don’t forget to support your local shop too! Hey there Brian….I have not been diligent in following your blog and am so glad AnnieB mentioned it on her most recent post. Now that I am signed up to receive your updates, I can keep up with your work too. 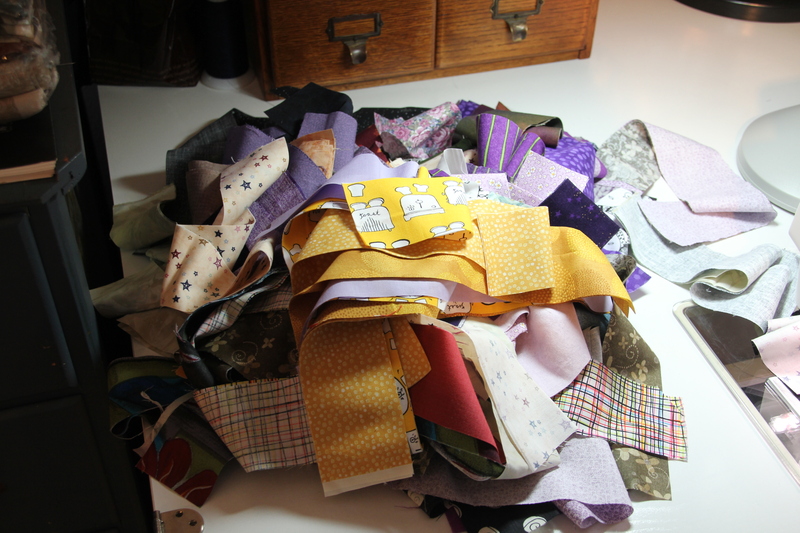 Like all quilters, I also have a stack of 2-1/2 inch strips but just do not have the nerve to grab and sew without any kind of organization. 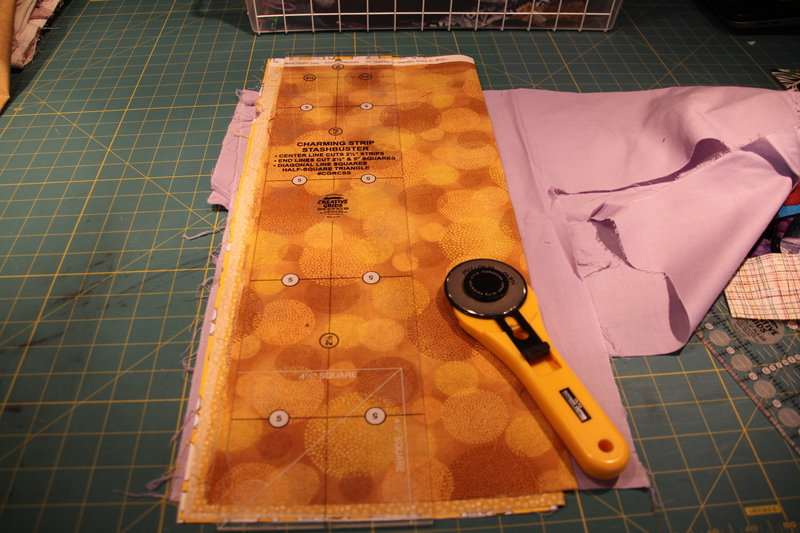 Since I make numerous Project Linus quilts, it would be a fast way to make a quilt and get rid of good scraps. Do let us know when you get some blocks put together; will you be sashing them to give your eye a place to rest OR just sew together one horizontal and the next vertical? 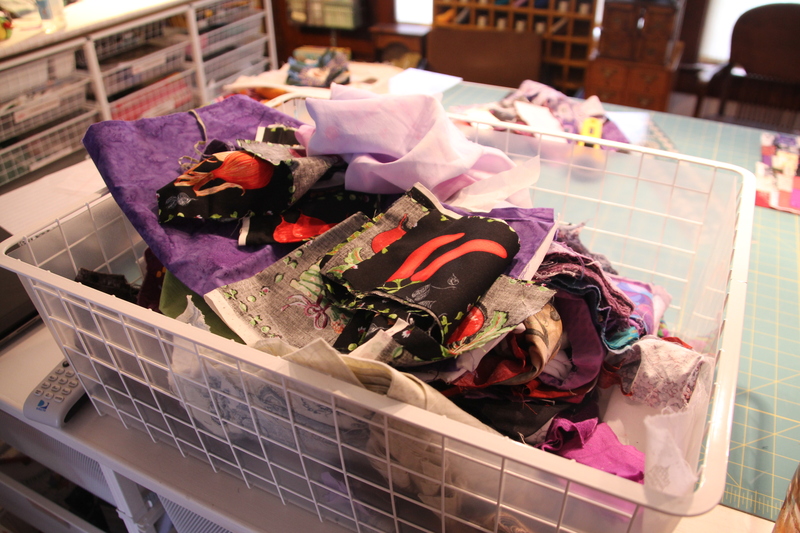 Do you have any leftover fabric from the three BOM by Nancy Murty….Harvest Spice, Harvest Home and Butterfly Kisses? I have lost a bunch of my fabric/block kits/patterns due to a disaster at my home….storm damage followed by foreclosure….I am try to replace this stuff so I can complete these three quilts…I lost nearly all the fabric on the Harvest Spice and have lost fabric and patterns on the other two. I know it is a long shot, but please let me know one way or the other. I’m sorry, but I have used up my scraps in 4 king size bed quilts using Bonnie Hunter’s Scrappy Trips pattern. Good luck. Sorry for your loss.